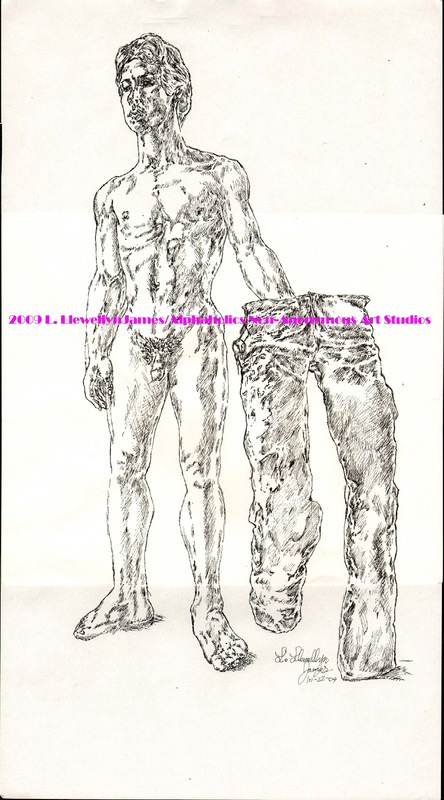 Alphaholics Non-Anonymous Art Studios: Now who precisely,may we ask, does indeed wear the pants around here? Now who precisely,may we ask, does indeed wear the pants around here? My name is L. Llewellyn James and I am a Writer, Illustrator, Graphic Designer, Voice-Over Artist and Film-maker working and living in the Gold Coast of Fairfield County, Connecticut. I also own my own DVD Authoring Facilities, with capacities for mass producing DVDS for your next social, political or life-stirring event. I am also a writer with extensive experience in public relations, social commentary, news writing, and press kit management. As an illustrator, I have worked in the realms of portraiture and character design. My graphic design work runs the gamut from logo design to promotional art direction. As a film-maker, I have worked on a variety of social, political and personal projects including commercials, documentaries and music videos. I also work as a voice-over artist, often working in radio, film and internet projects. For more info on rates of service as well as my own availability for your own project, please feel free to contact me directly at 203.767.2655 or via e-mail at alphaholism@gmail.com.